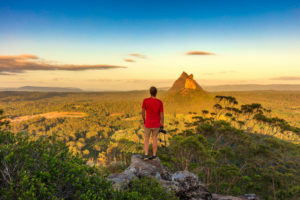 Stay on the beach and swim in the crystal-clear ocean, but make sure you venture inland to witness some of the other treasures that this region has to offer. Some of its best kept secrets are within ten minutes of popular holiday beaches. Here are some places and experiences that must be included on your itinerary during your next visit to this exquisite location. 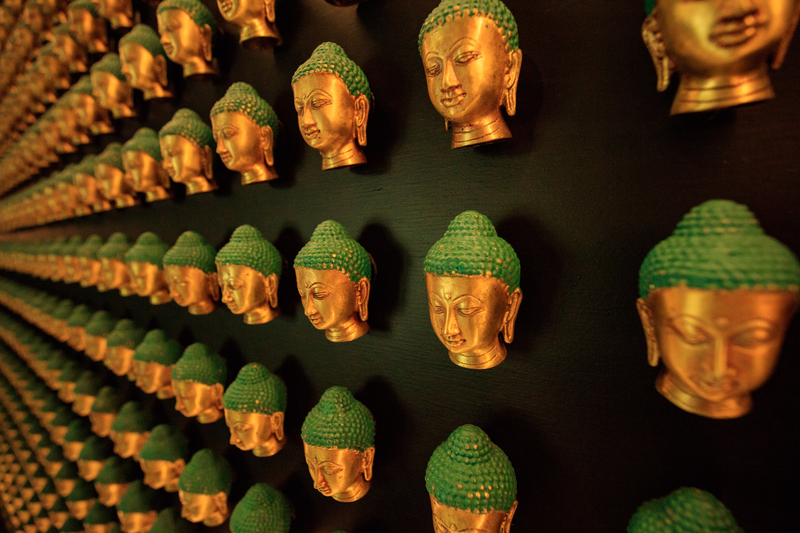 20km inland from the beach you are transported to Thailand at this award-winning restaurant and cooking school. This is an absolute must visit. From the moment you enter the beautiful gardens, set on 5 acres of lush tropical landscape, the Asian theme is evident. There is an abundance of towering bamboo that canopies the maze of pathways around the central lake, home to water dragons, turtles and water lilies. The Spirit House is the vision of Peter and Helen who created it. 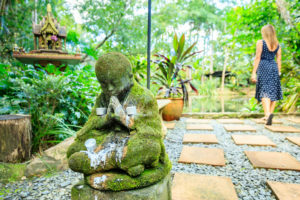 Their colourful history living in Thailand, owing businesses ranging from pottery exports, hydroponic farming, eateries and their love of travel and food have brought them to this tranquil, inspiring haven. Peter is a wealth of stories and you can clearly see the passion and twinkle in his eye when he recalls how the Spirit House came to be. 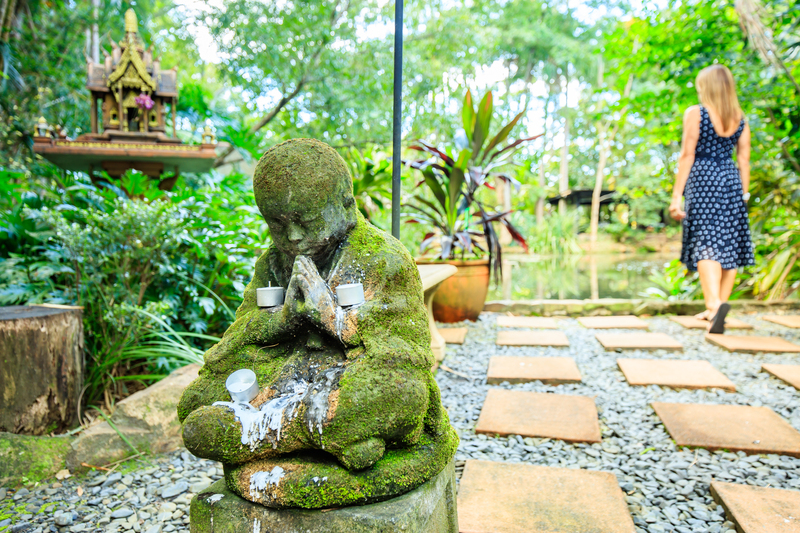 With Paris his dog loyally by his side, Peter will proudly share the history of the location including the many authentic Spirit Houses that protect the gardens. It is believed that each garden has one spirit and there are “houses” dotted all around the property as their homes. As you prosper, so does the Spirit. It’s a real family affair here with Peter and his late wife Helen opening in 1995 and growing this venue to the incredible location it is today. Sons Blake and Acland are now also an integral part of the business. 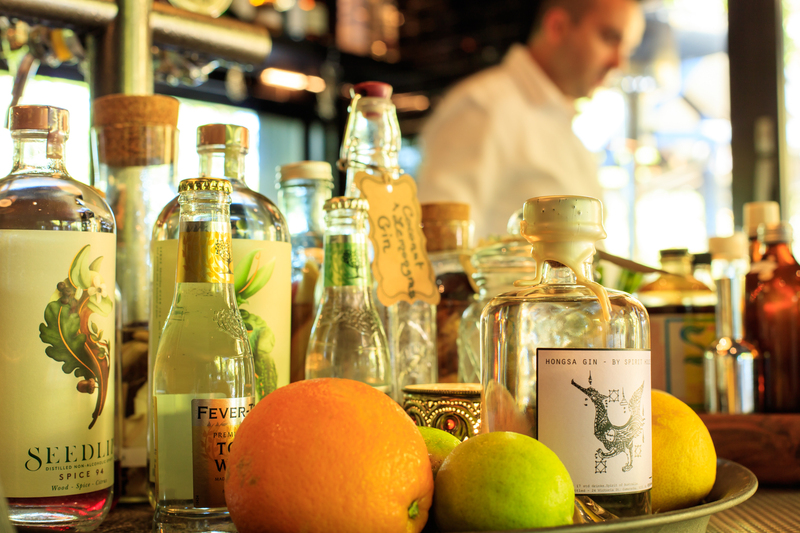 This is already a popular tourist stop, even if just for a gin in the new bar which features homemade brews by French barman Yann whose attention to detail is evident as he creates his magic concoctions from beakers and test tubes of all sorts of exotic ingredients that crowd the bar. 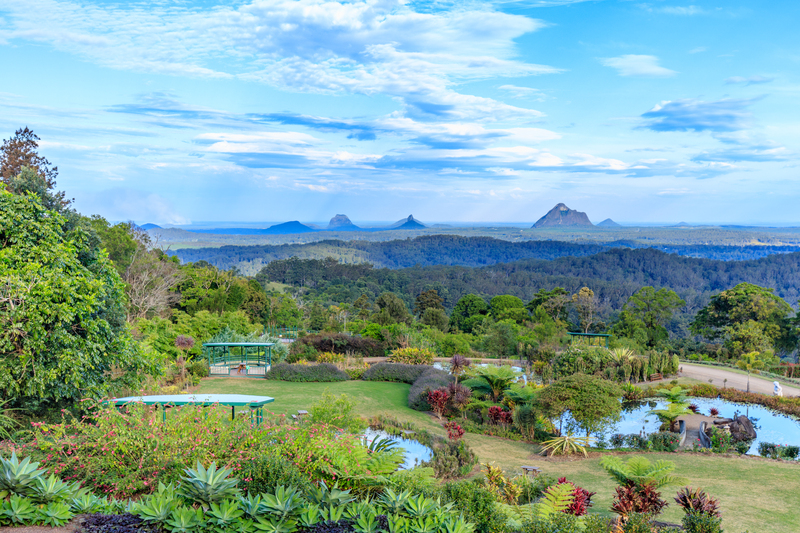 In 2005 Frank Shipp bought 110 acres of land high in the hills of Maleny with quite possibly the best views of the Glass House Mountains in the distance. Originally an overrun Cattle Farm, Frank’s vision to develop the land and share with the public is inspiring. 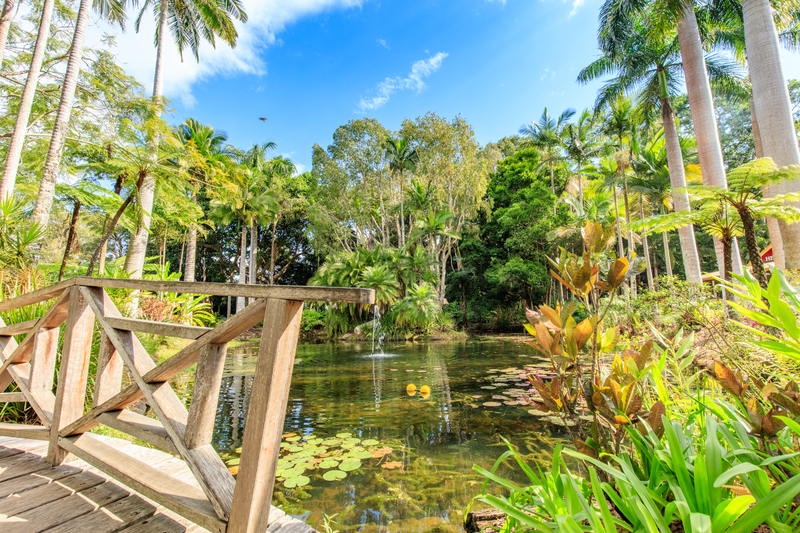 Currently 18 acres are developed in the most stunningly exquisite gardens featuring ponds, an increasing number of Gazebos for guests to enjoy and a huge array of flowers. Not forgetting the adorable birds that perch next to the car park and entrance on your arrival. 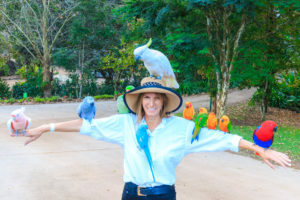 They sing and talk to you like humans and what was most impressive is they are not restrained or caged, they just hang out freely greeting guests in their own quirky way. Make sure you take a picnic here, there’s so many places to sit and enjoy the gardens and the view, and definitely get a selfie with the birds, they are seriously hilarious. Note also for those not keen on walking the gardens by foot, there are golf buggies available for a very reasonable hire fee. Offering free admission The Ginger is ideal for families with loads of character. 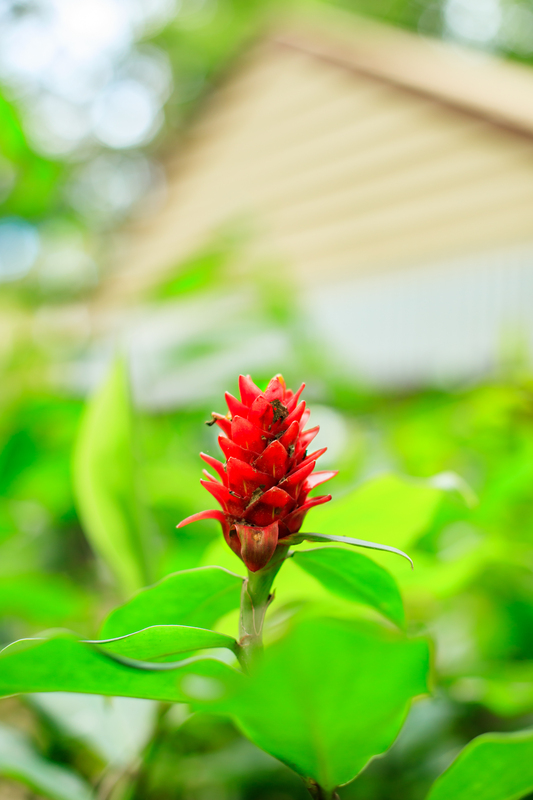 Try a ride on the Ginger Train , tour the factory and experience an educational tour, there’s even a live bee show (it’s really impressive giving an in depth view of a beehive, behind glass so you are completely safe). 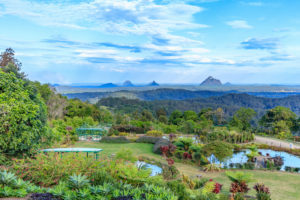 If you’re looking something a little more chilled, take a stroll around the half acre of lush landscape home to South East Queensland’s largest collection of ginger plants with hundreds of varieties for you to see. 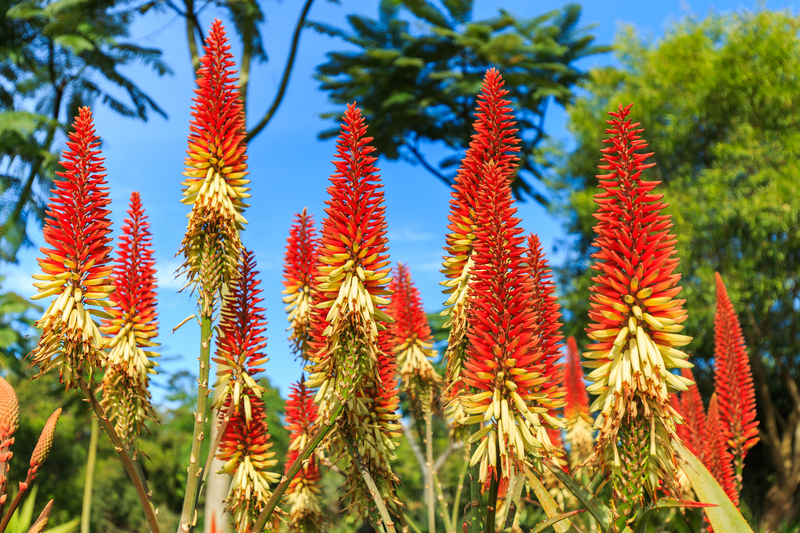 The flowers alone are just breathtaking. 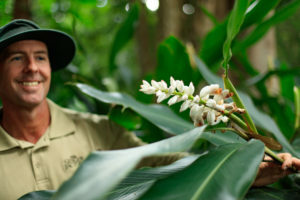 Jeff MacLennan the head gardener is so passionate about these plants and sharing their beauty with the public. 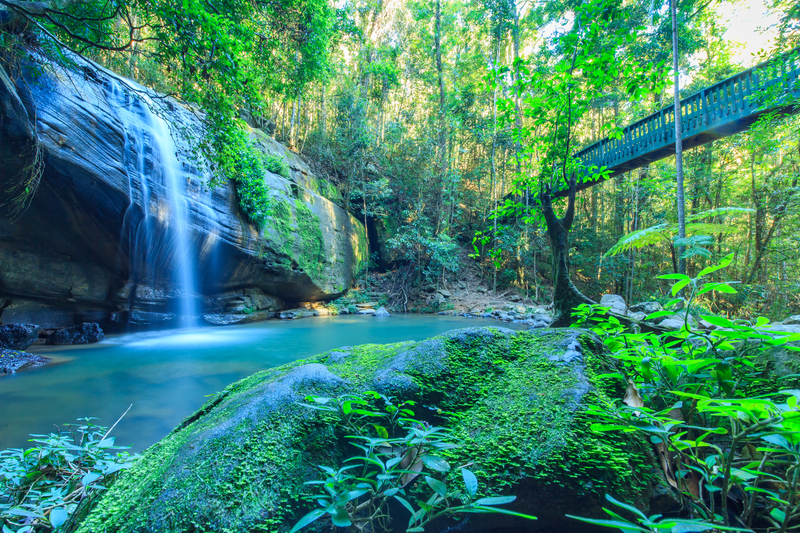 Just a short drive from Mooloolaba is the sub tropical rainforest oasis of Buderim Falls. 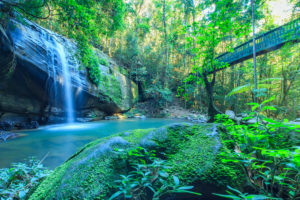 These waterfalls are a must for nature loves and photographers, particularly as they are so easy to access. 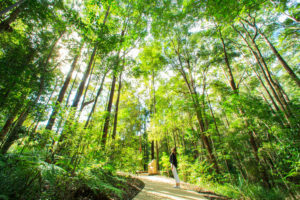 There is no long hikes or walks, just an easy 600 metre stroll down the bush track from the car park on Quorn Close. For pram and wheelchair access, take the path from Lindsay Road. 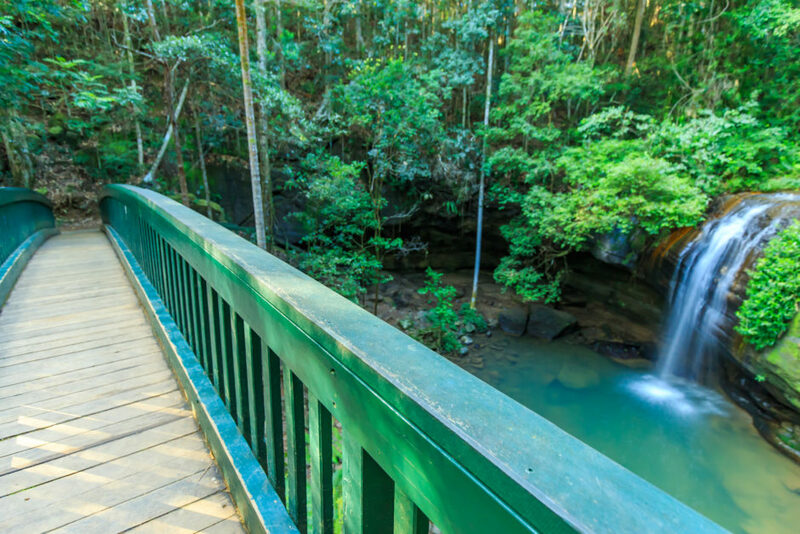 The picturesque walk along Martins Creek is suitable for all fitness levels and a tranquil escape from the heat of the beach where you can enjoy the clean fresh rainforest air. 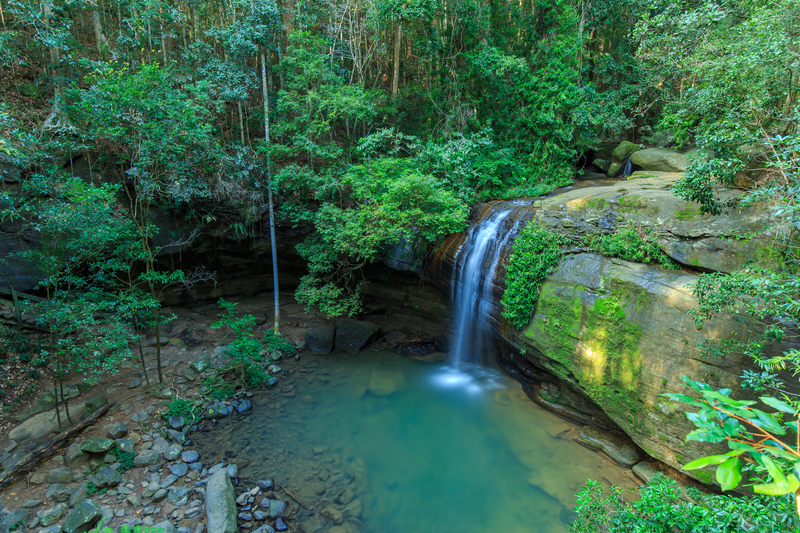 Especially impressive after rain when the water cascades down the rock face to the pool below. What is most surprising is it’s less than a kilometre from the cute mountain village of Buderim. 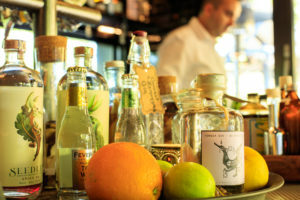 Stop for a bite at one of the many charming cafes or stroll down the tree lined streets. 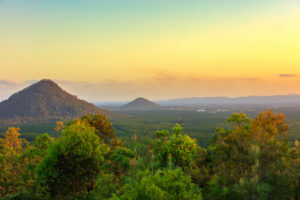 Rising out of the Sunshine Coast Landscape, visible from miles away, are sixteen volcanic crags creating the most breathtaking backdrop to the Sun shine Coast Hinterland. Visible from many locations most easily found via Steve Irwin Way, Beerwah, find a spot to set up a picnic and take time to soak in these ancient wonders. 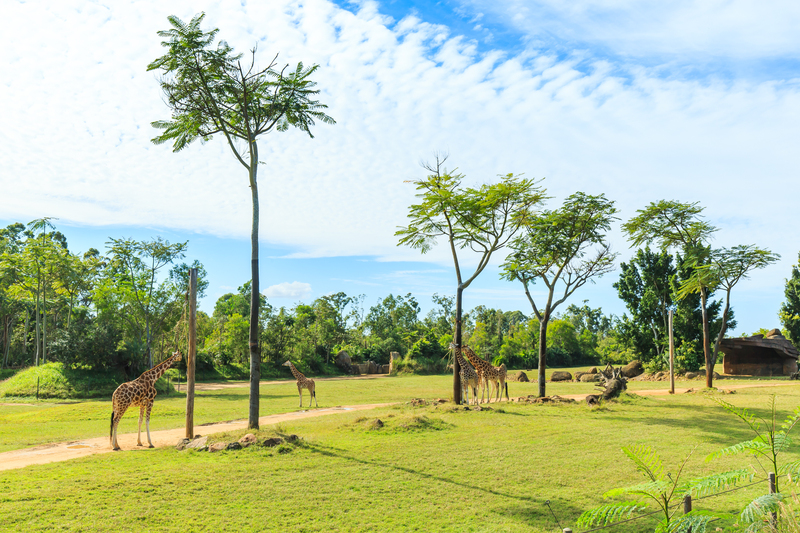 Australia Zoo is world renowned for its 1,200 plus animals and in particular, the crocodile show. But what impresses first time visitors the most is the 105 acres of pristine landscaped gardens, all designed to specifically replicate the animal’s natural habitat featuring Australia, Africa, Asia and many more. 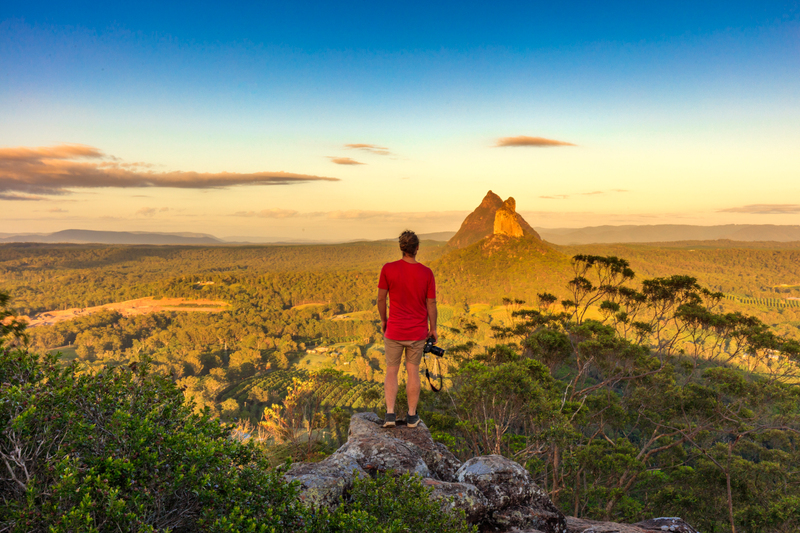 From wide open landscapes to rare and beautiful Fauna, you could spend days exploring the many walks. If you’ve visited before, do yourself a favour and take another stop, looking past all the cute animals to really take in the plants and flowers, you won’t be disappointed. 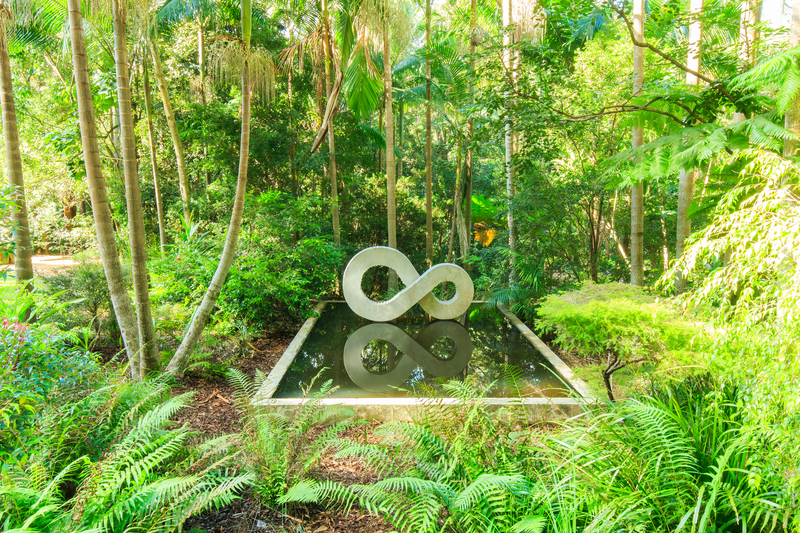 Stone Sculptures arranged in 200 acres of gardens, take a self-guided tour of this bushland, landscaped to showcase plants native to the Sunshine Coast Region. 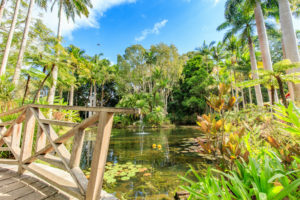 Featuring a lagoon, a wooded forest aimed at children and a lovely café to relax and enjoy the peaceful environment just a ten minute drive from the coast. 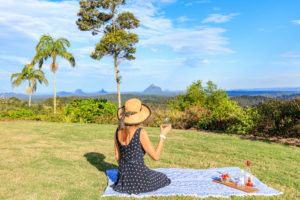 There are plenty of open spaces and seating ideal for picnics. 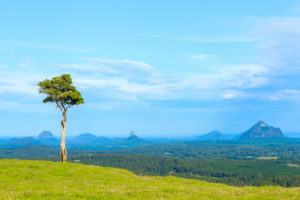 The Sunshine Coast is home to many tranquil gardens and locations perfect for a getaway from the beach and suitable for all ages and fitness levels. 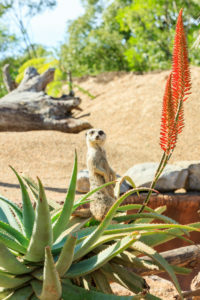 Most are open all year around so you can visit at any time, there is also the following specific Festivals.